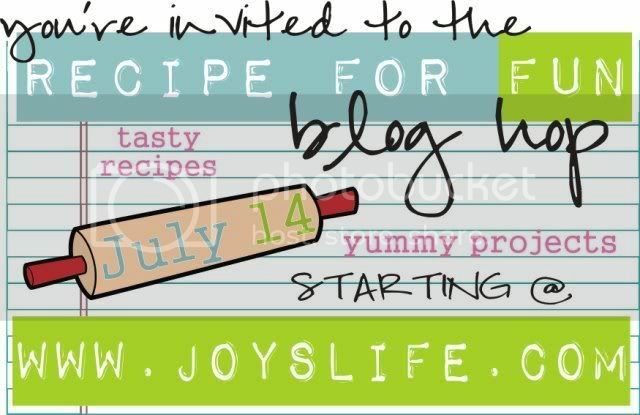 When I found out that the theme of this blog hop was going to be recipes, I freaked a little bit. I used to love cooking and baking, but had to give it up to be a full time working mother and scrapbooker. I just don't have time for more than one extracurricular. So, it's been years since I did any real cooking or baking and I couldn't think of anything I could make. HMMMMM Now THAT I can work with! I love this saying. 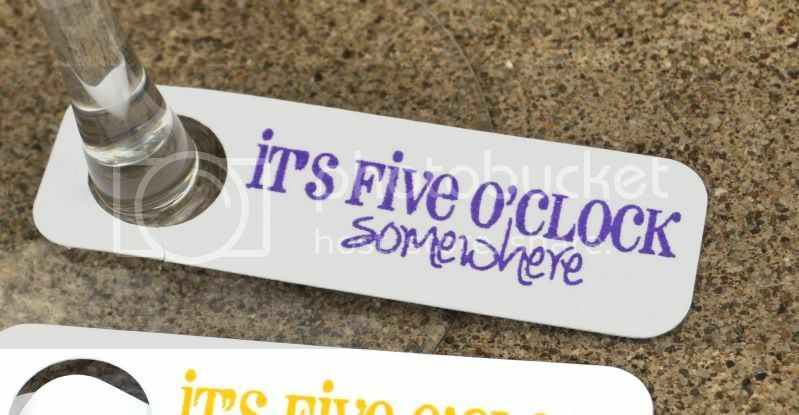 I love this stamp, which you can find on the pun in the sun set. And I have a drink recipe that I love! 1.Wet rim of glass and dip in coarse salt. 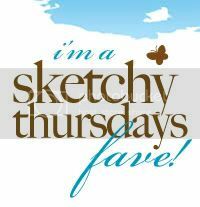 2.Shake one part whipped cream flavored vodka and one part Frangelico with ice. 3.Pour into glass and enjoy. And here is the martini party ensemble that I came up with. Here is the cocktail party ensemble that I created. I started with the drink tags. 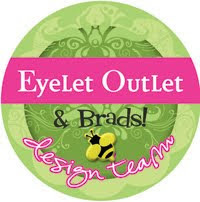 I cut them out with my cricut, from the Bags, Tags, Boxes and More cartridge. Then I stamped them in a rainbow of Clearsnap Stephanie Barnard Dye inks. Finally, I cut a little slit through the edge of the holes to allow it to be attached to the stem of the glass. Now, everyone can identify their drinks based on the color of the tag! Since the drink tags were in a rainbow of colors, I thought it would be fun and festive to make the whole set match. 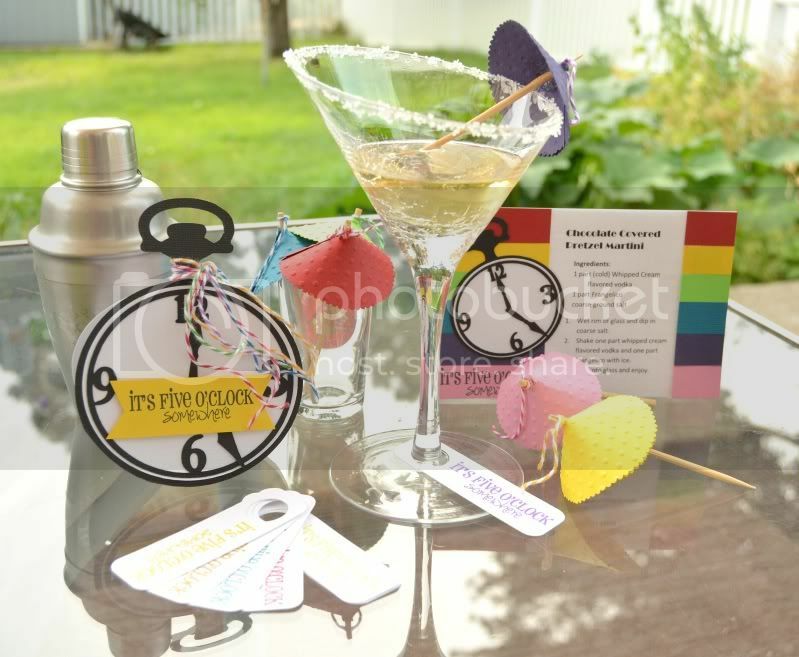 I made a rainbow of drink umbrellas, a recipe card, and an invitation with a rainbow of twine on it. 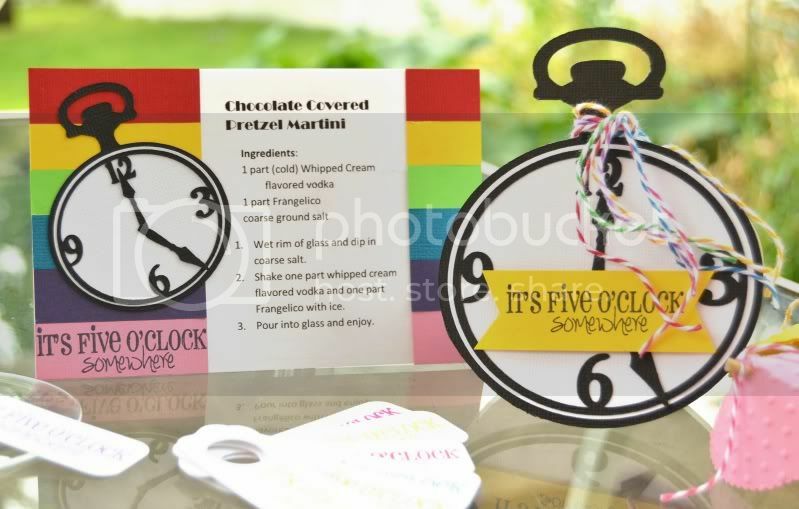 The clocks are from the Teresa Collins Sophisticated Cricut cartridge. 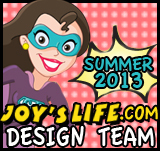 Next you are heading to Cyndy's blog. I'm a new follower, i like your drink tags idea. thanks for sharing it with US. So cute.. love those little tags! I had no idea they made whipped cream flavored vodka LOL Learned something new today! Love your idea. I am always looking for another martini recipe. Will have to try this one. I LOVE this!!! Yummy decor and yummy drink recipe! Nom-nom-slurp-slurp!! Loving your party idea to the fullest. Have Pinned it to my Pinterest Board too! I need blog candy -- a drink! Nom-slurp! 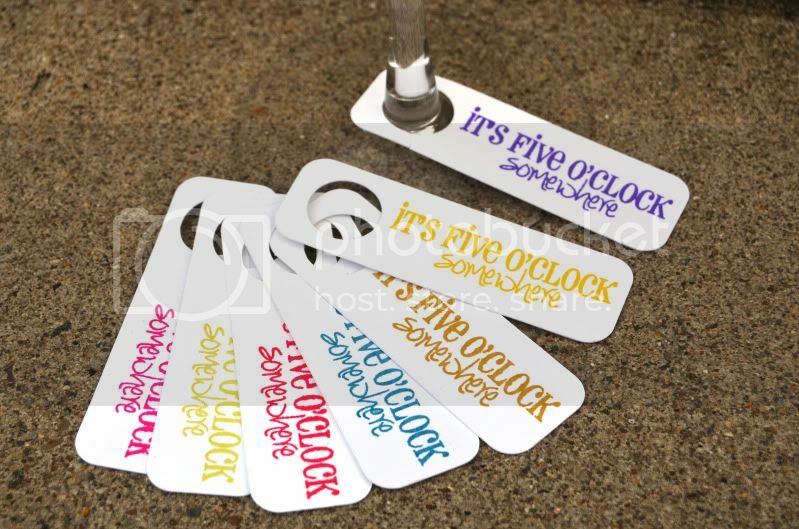 Super cute idea for the drink tags and I love how you did the umbrellas! You're idea is GENIUS and so pretty!! I love the whole project! DH actually saw it before I did and shouted from another room how good it was. You rock! Great ensemble!! I don't drink, but if I did, this would sound REALLY yummy! Who knew there was "whipped cream" flavored vodka??? Almost makes me WANT t drink! LOL! Wonderful drink tag idea. I recently made Patriotic theme tags for water bottles. Oh my gosh,how cute of those glass tags. That is a project that I will be doing in the future. Great party idea, and so easy! Super cool!! I LOVE all the cuts and colors!! Super cute ideas!! Great ensemble, Megan! Love all the pieces and the colors you used are pretty! Oh I want to be invited! Great set up. Love all the pretty colors. & sounds like a super easy drink to make too! Very festive with the rainbow of colors. I am just ALL OVER this project! How cute! I have a party coming up and may need to lift this idea, if I may! fabulous Megan!!! great projects for this fun sentiment! Such a fun idea. I love how bright and sunny these are! This is sooo cute! I don't drink but the whole theme with the colors and the picture set up! Goodness you did a fabulous job! WOW and WOW!! This is so super cute and that sounds YUMMY! New visitor and follower. Love the drink tags and the foodie idea! Who knew? Thank you for sharing and for the super fun hop! Now THIS is a foodie challenge I can get behind! LOVE it Aal, great ideas, execution, & fun summery colors... Oh, and lots not forget your cocktail recipe too! I'm subbin'.